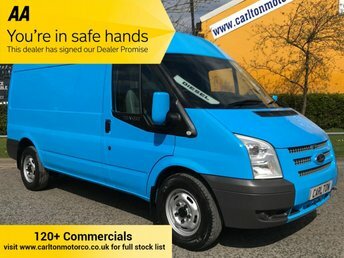 Ford Transit 2.4TDCi 100ps Mwb High Roof [ Mobile Workshop P,T,O Generator + 110v electrics hook up van Rwd Low Mileage full service history printout XBT Utilities one of the best equipped and cared for credit to its former user driver -We know you will be hard pushed to find better example throughout, Under body Compressor air tool hook-up point 100cfm / 100psi air tool hook-up Electric Generator Internal racking cabinets non slip flooring work bench vice rear barn doors 256 opening safety check straps, non slip rear step high level brake roof beacon work lights, win air bag abs brakes esp remote dead locking radio Cd stalk controls electric tinted windows dual passenger seat 3 point belts cloth seats. ## Please note that We do Not sell the racking separately ### All of our workshop vans are sold with the racking intact - ## .All vehicles prepared to the highest standards also undergo pre Delivery inspection oil and filter, Mot if required Full dealer facilities Low rate finance available....... The first Dealer to offer Free uk Delivery ........... "We only Got Bigger By being better" ............ We lead the others follow !!............ [ We are family owned and run since 1992 ] + VAT Every effort has been made to ensure the accuracy of the above information but errors may occur. Please check with a salesperson.